The band "Blood Covenant” was formed by Segor (Sergey Areskin) and Garegin (Garik Amian) in 2001. Before Dave joined the band (2001-2002), the latter had been performing instrumental compositions. Soon Gurgen Khazarian (bass, keys) (2004) (only live) and ARBI DAVUDI (guitar) (2005-2007) joined the band. 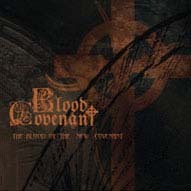 Later, in December 2005 the recordings of the second studio album titled "The Blood of the New Covenant” started, which was released in 2007. In October 2009 the band had a solo concert, which will soon be available in the form of DVD. The band is also preparing to release the first video titled "The Blood of the new Covenant”, the presentation of which will take place in 2010. 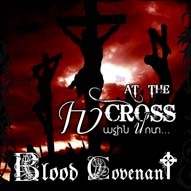 In December 2009 the band released the single titled "At the Cross”, combining the entire power of metal music and the whole gamut of the Armenian national instrument duduk, as a result of which Black metal performance of the Armenian Christian hymn "At the Cross” came out. VAHE AYVAZYAN (duduk) took part in the song recordings as well. In 2009 Garegin and Segor founded the label "ART4GOD records”.